The RAND Drug Policy Research Center is a non-partisan research center dedicated to providing objective analysis and research to decisionmakers. We do not have an official policy position on marijuana reform and more generally RAND does not advocate for or against legislation at any level of government. But for more than 25 years, RAND researchers have published articles and studies that will be useful for those making decisions about marijuana policy. Here we summarize some of these studies and provide links to the publications (some journal articles may require subscription). This is not an exhaustive list of RAND's marijuana-related publications and we encourage readers to visit http://dprc.rand.org for more information. As the next round of states debate marijuana legalization, they would do well to contemplate allowing state governments to control the wholesale prices and linking the price of cannabis to its potency. RAND's Elizabeth D'Amico discusses her research on how medical marijuana advertising influences adolescents' use of—and positive attitudes toward—the drug. Los Angeles County used the findings to limit the placement of marijuana billboards and signage outside dispensaries. A crisp, clear, and comprehensive non-partisan primer, this book covers the risks and benefits of use, current trends, and marijuana laws around the world. The authors discuss the costs and benefits of legalization as well as possible policy options. Exploring the relationship between health policy, public health and the law regarding the controversial use of cannabis, this study assesses the impact of illegality in drug use and compares it with the policies of the U.S., Europe and Australia as well as other developed societies. Written by two leading drug advisors, the analysis contributes to an important field of research. This book provides the first multidisciplinary and nonpartisan analysis of how the United States should decide on the legal status of cocaine, heroin, and marijuana. It draws on data about the experiences of Western European nations with less punitive drug policies as well as new analyses of America's experience with legal cocaine and heroin a century ago. Current evidence does not support the hypothesis that US medical marijuana laws until 2014 have led to increases in adolescent marijuana use. Legalizing recreational use of marijuana comes with a host of policy decisions, including how to regulate the supply, pricing, and access to the drug, and how to approach public health messaging on substance abuse prevention. After recreational marijuana laws were passed, perceived harm associated with marijuana use decreased among students in 8th and 10th grades in Washington state and use increased; neither perception nor use changed in Colorado after legalization. Testimony presented before the Florida House of Representatives Health & Human Services Committee, Subcommittee on Health Quality on January 25, 2017. Debates about the pros and cons of legalizing marijuana should also include detailed discussions of how best to implement legalization. Testimony presented before the Vermont Senate Committee on Finance on January 19, 2016. Adolescent use of marijuana is associated with adverse later effects, so the identification of factors underlying adolescent use is of substantial public health importance. Estimates of both the consumption of illegal drugs and user expenditures are important for informing drug policy development. This paper reviews recent changes in marijuana policies and the decisions that confront jurisdictions considering alternatives to traditional marijuana prohibition. Marijuana legalization is a controversial and multifaceted issue. This report provides a foundation for thinking about the consequences of different marijuana policy options while being explicit about the uncertainties involved. This paper does not address the question of whether cannabis should be legal; it instead focuses on the design considerations confronting jurisdictions that are pondering a change in cannabis policy. This study seeks to clarify the characteristics of state medical marijuana laws (MMLs) in place since 1990 that are most relevant to consumers/patients and categorizes those aspects most likely to affect the prevalence of use, and consequently the intensity of public health and welfare effects. Our goal is not to address whether marijuana legalization is a good or bad idea but, rather, to help policymakers understand the decisions they face and some lessons learned from research on public health approaches to regulating alcohol and tobacco over the past century. Much remains unanswered about the potential effects of marijuana liberalization policies because the most relevant questions have yet to be fully considered and addressed. This study provides a multinational overview of cannabis production regimes, with a special focus on identifying and describing official statements and/or legal decisions made about production regimes for non-medical and non-scientific purposes. Discusses whether legalizing marijuana in California would reduce the revenues of Mexican drug trafficking organizations and related violence. Testimony presented before the California State Assembly Public Safety Committee and California State Senate Public Safety Committee on September 21, 2010. Legalizing marijuana in California would lead to a substantial decline in price, but there is much uncertainty about legalization's effect on public budgets and consumption; even minor changes in assumptions lead to major differences in outcomes. Attention has been given to the debate regarding allowances for medical marijuana use since the 1996 California and Arizona ballot initiatives. The Dutch depenalization and subsequent de facto legalization of cannabis since 1976 is used here to highlight the strengths and limitations of reasoning by analogy as a guide for projecting the effects of relaxing drug prohibitions. Approximately 18.5 million Americans aged 12 or older reported buying marijuana in the past year; they were more likely to be male, report using marijuana for a greater number of days, and report dependence on marijuana. Analysts need to know how much marijuana is in a joint in order to better understand illicit marijuana markets, the size of potential legalized marijuana markets, and health and behavior outcomes. Recent debates regarding liberalization of marijuana policies often rest on assumptions regarding the extent to which such policy changes would lead to a change in marijuana consumption and by whom. This report estimates the total weight of marijuana consumed in Washington state in 2013 -- the last year before legalized commercial sale of marijuana -- in order to provide decisionmakers with baseline information about the size of the state's market. This Article seeks to broaden the revenue discussion about marijuana legalization with respect to policy goals, types of taxes, and components of revenue. This report demonstrates how cannabis prices increase across the supply chain in the EU as distributors take additional mark ups to compensate themselves not only for shipping costs but also for the risks they assume. This report generates estimates of retail cannabis expenditure in the EU using new data about cannabis consumption and expenditures from a web survey conducted in seven Member States. The authors review two general approaches to drug market estimation--supply-side and demand-side--before turning to a more specific analysis of studies that measure the size of the U.S. marijuana market. Lowering the legal risks for marijuana users increases the demand for the drug, and consequently, increases prices and profits for drug dealers. The report generates country-level consumption and retail expenditure estimates for cannabis, heroin, cocaine, and amphetamine-type substances. There are 400 million retail marijuana purchases in the U.S. each year and the average purchase size is small, about six or seven joints. For the past 25 years, marijuana has been the most commonly used illicit drug among adolescents. 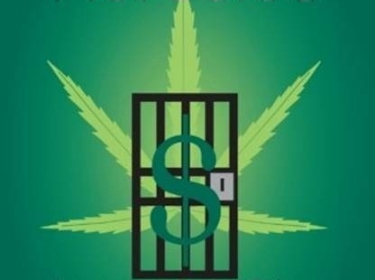 This chapter assesses these previous efforts and describes a bottom-up approach to estimate the criminal justice costs of prohibiting marijuana in California. 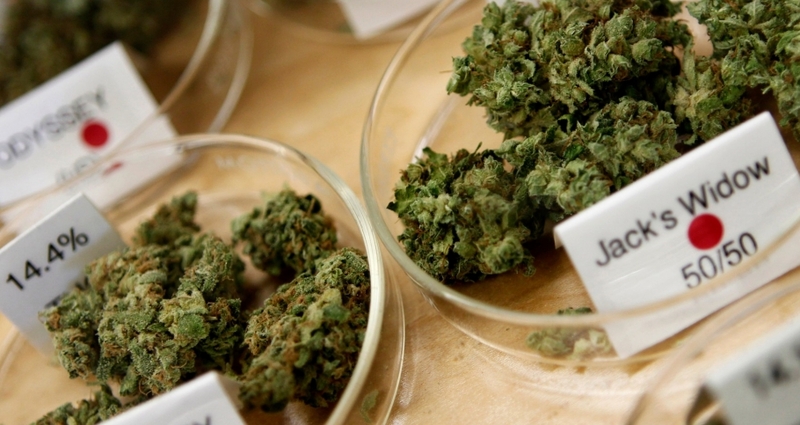 The chemical compounds found in marijuana deserve more attention as efforts to regulate marijuana for medical and recreational use go forward. A recent study of arrest data show that African Americans are 2.5 times more likely to be arrested for marijuana possession offences than Whites. Examines the characteristics of California and Arizona offenders who ultimately ended up in prison on low-level drug charges. States that provide legal access to marijuana through dispensaries experience lower treatment admissions for addiction to pain medication. Post-traumatic stress disorder symptoms among a young adult sample of U.S. veterans were associated with a doubled rate of past-month use of marijuana and lifetime use of synthetic cannabis. This study describes patterns of cannabis use, the degree of overlap between medicinal and recreational users, and their differential use patterns, modes of consumption and sources of cannabis in legalized states. This paper examines a broad set of cannabis use patterns and multiple dimensions of antisocial behaviors and test the empirical importance of two prominent criminological theories -- general strain and social bond -- in explaining associations between cannabis use and antisocial behavior. The shift from punitive prohibition to legalizing marijuana at the state (or federal) level may produce a net social benefit. Trajectories of drug use are usually studied empirically by following over time persons sampled from either the general population (most often youth and young adults) or from heavy or problematic users (e.g., arrestees or those in treatment). This study used latent growth mixture modeling to identify discrete developmental patterns of marijuana use from early adolescence (age 13) to young adulthood (age 23) among a sample of 5,833 individuals. The common-factor model has implications for evaluating marijuana control policies that differ significantly from those supported by the gateway model. The Protective Behavioral Strategies for Marijuana scale can assess behaviors in young adults that could help limit negative consequences of marijuana use, which may be useful for intervention and prevention programs. School-based drug prevention programs can prevent occasional and more serious drug use, help low- to high-risk adolescents, and be effective in diverse school environments. This fact sheet reports lowered use of marijuana among ninth graders exposed to anti-drug messages from the National Youth Anti-Drug Media Campaign along with Project ALERT Plus, a drug prevention curriculum for middle school students.